Skywalk video competition 2010 Winner! I embedded this video in August because I felt it conveyed much of the appeal of the sport. Skywalk agrees. 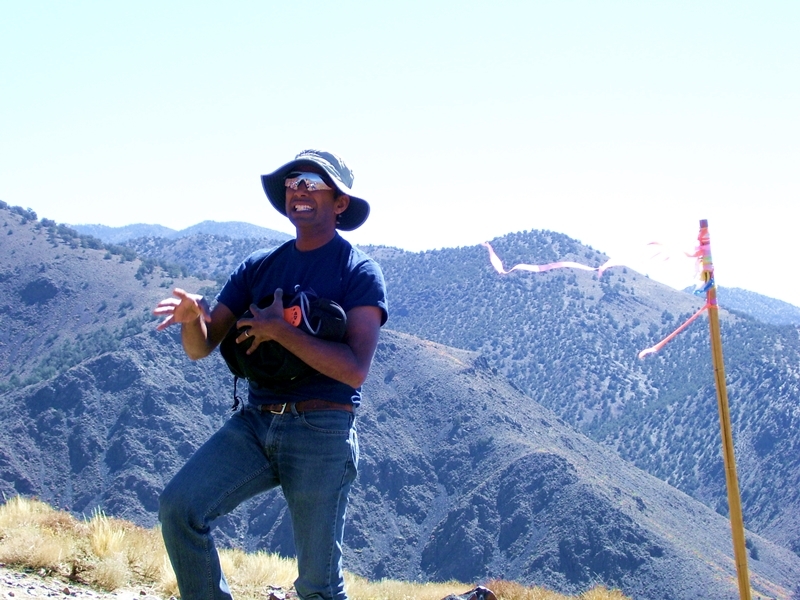 Congratulations to José Abreu who has won the 2010 Skywalk video competition! If you have the bandwidth, watch it in HD - Enjoy. I'm no good at remembering jokes. I enjoy hearing them - and have an appreciation for humor; I just don't retain the elements of the story in my brain. . . With one notable exception. I said, Oh yeah? Well think about the soap in the shower. And think about the last thing I wash. . . and the first thing YOU wash. . . 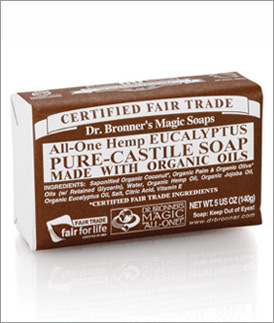 It must be magic!" I've never forgotten that joke. I think about it, with a chuckle, at least 30% of the times I reach for the soap in my shower. I don't know why this has 'stuck' for so long, just that it has. If only all the important lessons in life stuck with the vividness and the humor of that one. . . Which is why I relate this story. What I write, on this silly blog, is written with the hope that some of it will resonate and 'stick' with you. It's my hope that the wheat will show through the chaff and, when you find yourself in need of a good idea in a bad situation, something you've read here will help. 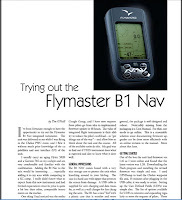 In an August post I reviewed the Flymaster B1Nav integrated flight instrument. This post has been one of my most read posts, accessed through Google, by those researching flight instrument purchases. The article was written from the standpoint of (me) a pilot wishing to update his instrumentation or enter the Competition XC fray. I prefaced the review by indicating my prior instrumentation was an "aging" Flytec 5020 and a Garmin 76S. I also wanted to convey to the large number of aspiring XC pilots, who cannot afford a $1500 unit, that the B1Nav might be an affordable integrated instrument that delivers the necessary features while costing much less. I want to fully disclose that I have received some minor discounts on some of my gear because I am an active pilot and this blog has a readership (20,000 page views in the last 6 months). I've never made a statement that I haven't fully believed, nor made a recommendation based upon a freebie offered to me. And I didn't this time - I honestly recommend the Flymaster B1 Nav for those who don't want to spend a grand and a half for a comparable Flytec unit. Then I received the November USHPA mag. . . In it, on page 9, was included a NOTE FROM THE EDITOR that addressed, solely and specifically, the article I had written and that had been edited by the editor. The "note' covered more than nine column inches and seemed to be written as a counterpoint to my article. It read, suspiciously, like it had been written by Flytec themselves, using the USHPA editor as a mouthpiece and the non-advert pages of the USHPA magazine as their advertising space. It stated that "the article was not a review based on objective facts." This is an accusation of personal bias and I resent the unveiled insinuation. I'm a Flytec owner. I like my Flytec instrument but it's time to upgrade to a newer unit and I reviewed the Flymaster after buying it. Bias was not a factor. It criticizes the fact that I compare it to the 5020 - after I prefaced my review by stating this fact. 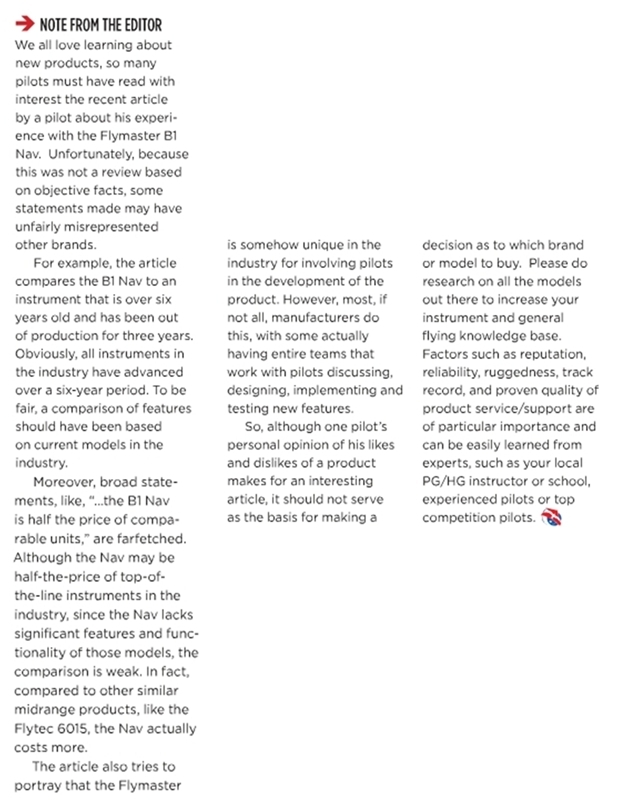 It also states, "... since the B1Nav lacks significant features and functionality (compared to units costing twice as much) the comparison is weak." This statement was made by the editor without a single example to support the statement. Frankly I'd like to hear what these 'features' are, since I don't fly one of these top-of-the-line units and wasn't reviewing them. Then a comparison was made by the USHPA Editor to the Flytec 6015 as a "comparable unit". I'd wager an expensive beer that this statement was made without him ever flying the 6015. At least I referenced instruments that I own and have flown in cross country competitions. To state that the 6015 has comparable features is nonsense. The B1Nav is fully featured - read the article. I have no interest in starting a feud with Nick. He's a good guy and an excellent pilot. I generally like the work he's done with the mag. But an editor has authority and responsibility. He exercised his authority and completely dodged all responsibility. I think what's happened here is this - The October issue was edited during some seriously busy XC competition schedules this Summer. The article wasn't my best work and his efforts to edit it properly were probably hindered by a busy flying schedule. Then, after publication, Flytec USA gave Nick a lambasting, using every ounce of influence that their advertising dollars impart. Nick's response was the NOTE FROM THE EDITOR where he threw me under the bus. NEWS: Flytec has announced that they plan to add "significant features" to the 6030 firmware. These features are already offered on the Flymaster B1Nav. NED Ferdinand van Schelven 27 Anton Brous tba. I think this a lot too. You see, I've never considered having an accident as a reasonable possibility, as long as I "Fly Safe." I began my flying life at 15, in sailplanes. I was a skull-full-o-mush, as all 15ers are. In order to afford my flying lessons, I became the 'airport kid' and worked around the airport - fueling airplanes, working the launch line, cleaning bathrooms etc; and I learned a lot watching the many pilots come and go. Soon I was towing gliders with a Super-Cub and flying glider rides and intro-lessons. All the while I was observing other pilots - noticing their different styles and techniques. I developed an indelible image of the difference between a good pilot and one who thought he was good. The 'wanker' assumed he could overcome all variables - but never took the time to think them through. The good pilots always considered the variables and made sure that the sum added up to a safe operation. I'm convinced that this lesson saved my life - often - as I negotiated my early flying escapades while experiencing the insanity of puberty. Applying this lesson has kept me alive during the ensuing 40 years and 25000+ hours. I've made being a "safe" pilot priority one. Don't get me wrong - I did my share of stunts, over the early years, and I'm not dumb enough to list them here. But I've always - even when doing things that I knew were on the fringe of stupid - considered the variables and made an effort to make the right call. I've NOT done many stunts that just didn't pass my 'safe' test. You've all experienced 'Intermediate Syndrome.' This is a kind of temporary insanity that many experience when they get just enough knowledge and comfort in their abilities to forget about "Flying Safe." 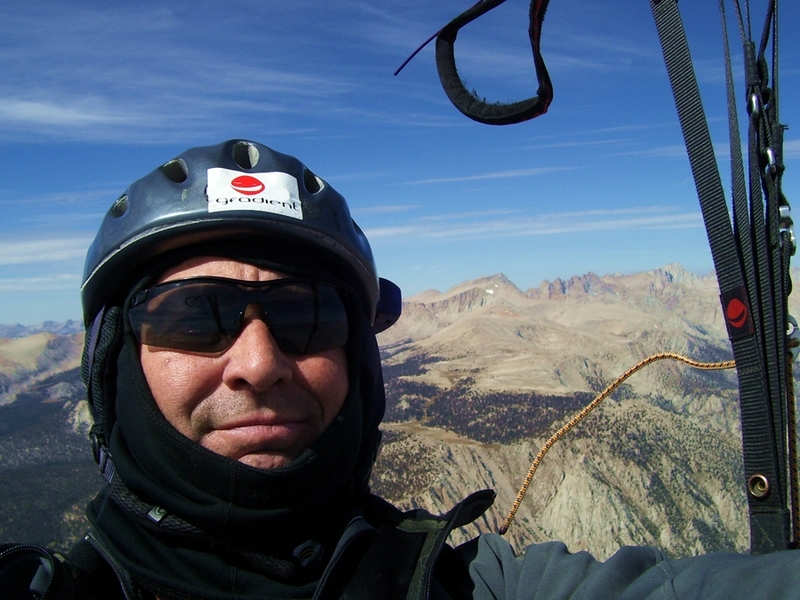 To my chagrin, I experienced a brief Intermediate Syndrome, in paragliders, just before I turned 50, and it resulted in injury. It took five broken ribs to remind me that paragliders are not toys - they are aircraft that need the respect and consideration given to any other kind of aircraft. For the last 30 years I've made a living flying airliners. The most important job of an airline pilot is to consider the many, many, variables and still provide a safe, boring flight to his passengers and crew. It's hard for me to fly my paraglider with a different mind-set than I do my 747. . . Does that mean that I never fly when conditions aren't optimal? NO. Just as in my airline career, I have flown in conditions that pushed (but never exceeded) my experience and aircraft performance. The secret to increasing your experience level, and comfort in unfamiliar situations, is to do it in baby steps. It takes time and experience. So, ask yourself, "Do you Fly Safe?" What does it mean to "Fly Safe?" MY definition of a safe pilot is one who I would allow to fly with my family aboard. Before making the determination of a pilot's "safety," I look at his/her competence and knowledge (experience); mental state; and motivation on the flight. 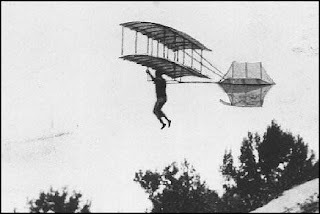 Does the pilot have the experience to fly in the conditions that exist presently and those that may occur during the flight? Is the pilot experienced enough to anticipate problems and avoid/compensate for these problems? Is the pilot thoughtful in planning the flight and aware of the responsibilities she is assuming? 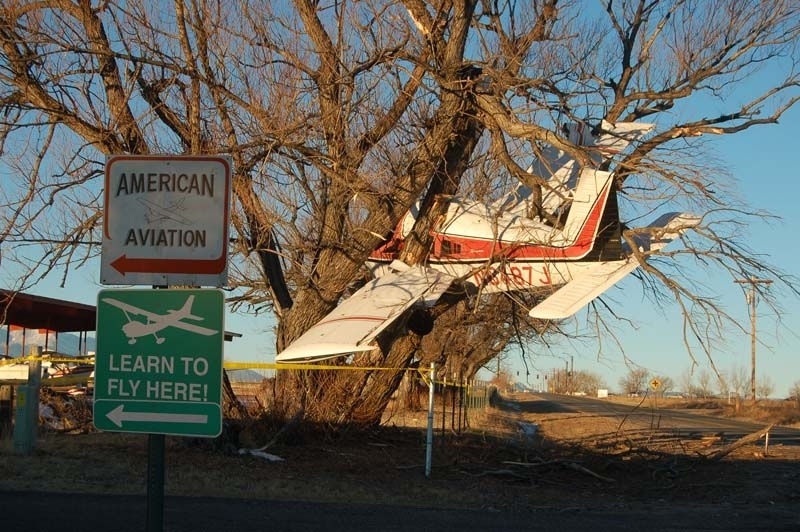 Is the pilot's competency on that aircraft type sufficient? So, do we "Fly Safe"? 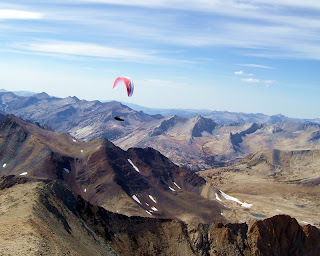 From the standpoint of flying paragliders in Cross-Country events, when I answer that question honestly, I must admit that there are times it appears that I could have flown with more safety. When I am on a XC flight and get low on the terrain to pull out a save; When I explore the lee to contact a booming lee-side thermal; When conditions at launch are *sketchy-but-flyable* and I decide to launch before it gets worse; All of these situations are second-guessable. The important factor is that I am aware that the safety margins may have been reduced in these situations but, after weighing the applicable variables, have decided it is, indeed, safe. I know that this appears hypocritical - "It's OK to do dumb things as long as you realize they are dumb." That's NOT the takeaway here. What I'm saying is, in the dynamic world of aviation, awareness of your risk at all times, and weighing all the variables, is imperative. To blindly dive into the lee without a consideration given to the consequences, is idiotic - to fly into the lee after considering the sun angle, winds, and plan of retreat, is "Flying Safe." In a sport where the prize monies are paltry; the fame is but momentary; and the bragging rights only last for the weekend; ask yourself, "How much are you really willing to dip outside your safety envelope to win a task?" Answer that question honestly, when in the heat of competition, and you'll know my mindset while competing. Consideration of your risk/reward when it's important is the key. *Even though it's improper English, I live with it. The US team is heading home from Turkey and they can hold their heads up high. After 7 tasks in 11 days, the US pilots all flew well and brought home 5th place in the Team standings, of which Cross Country Magazine says, "In fifth place was Team USA. The seven pilots flew strongly to show that they are now a true force on the international stage." Congratulations go to all seven guys: Nate Scales who was the highest scoring US pilot, at 23rd - Josh Cohn placed 28th - Eric Reed at 49th - Len Szafaryn at 54th - Nick Greece, who was leading after task two, finished at 59th - 2010 US Nat'l Champion, Jack Brown, at 88th and Brad Gunnuscio at 92nd. Thanks for representing the US Comp pilots and flying well! The PWC format, for the foreseeable future, will retain the 'Superfinal' format, with 5 regional tests before selecting the qualifiers for the Superfinal. This format was overwhelmingly approved and will continue to improve the chances of US pilots to qualify, and participate in, the highest level competitions in our sport. Read the full Cross Country article HERE. I've gone on record as being in favor of such a move, and I still believe it would help our sport grow and improve the quality and safety of our competitions. I do believe that there is a place for full-on racing (uncertified) ships for use in the PWC that will provide a venue for the highest performance and R&D for the manufacturers. Much like Formula One and America's Cup racing, there is a place for the spectacular performance of a "cost is no object" type of class*, but I feel that competing mano-a-mano on whatever performance wing will provide better 'sport' for a larger market. Admittedly, I am flying an EN-D wing in competitions and this obviously biases my opinion, but my choice of wing is due to my opinion that my EN-D wing provides a increased margin of safety and handling not exhibited by competition wings. I am not cynical enough to assume that the PMA decision is to boost sales by requiring serious competitors to purchase a Cat 1 comp wing and another to fly in PWC events - I hope they feel it will stimulate the market and expand it. Am I naive? I hope not. Do I think Cross Country Competitions will become safer? Probably not. Quite simply, it's the stuff between the ears that, ultimately, provides a safety margin. You can fly a Cessna 150 into trashy air & the result will be ugly. Pick your line intelligently and fly safely - THAT's the measure of a good pilot. . .
* By 'cost is no object' I mean $$ is no object. . . Unfortunately in the sport of paragliding, the cost to compete on the highest performance wings can mean the cost is your personal safety - This I find unacceptable. Aftermath of a fall - This one turned out well. None of us wants to leave a three-day flying weekend knowing that we are leaving one of our own injured and alone in the mountains. We all want, even less, to be that guy. 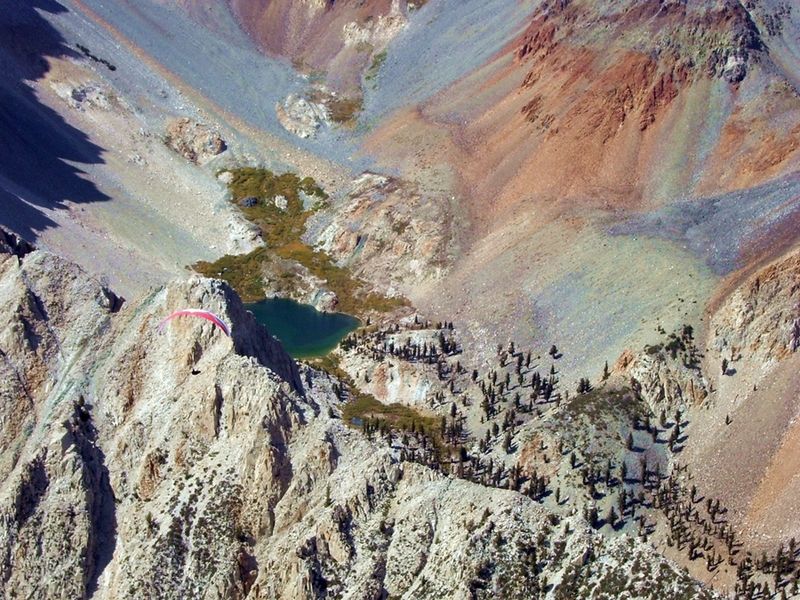 This weekend, at the Nor-Cal XC league event; three days of flying geared towards new and improving XC pilots, one of our experienced pilots found himself down in the White mountains at around 2:30 pm and spent 12 hours lying injured on the hill, awaiting rescue. I've heard words of surprise from some of my fellow pilots, that it took so long to get him to the hospital, but I was actually VERY IMPRESSED that the efforts of many culminated in the successful resolution of this event. 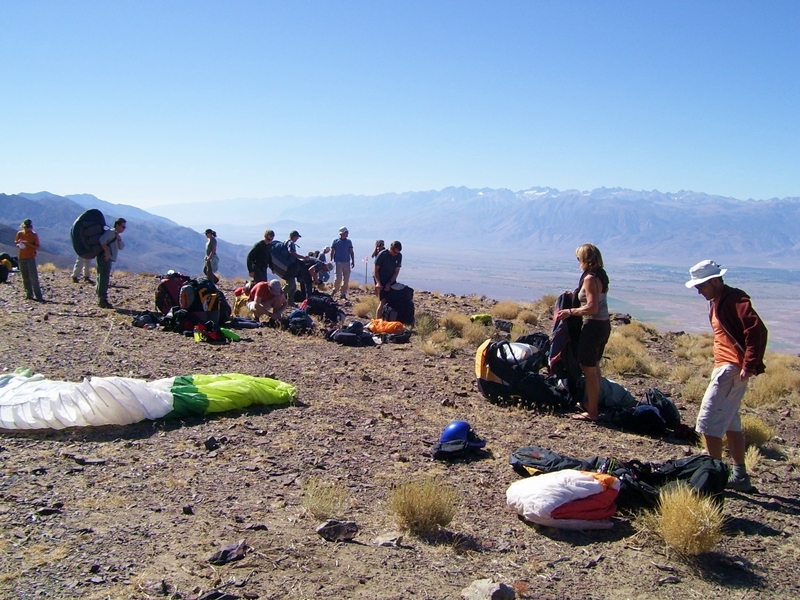 Shortly after 14:00 the crash occurs at 11,000' in the Whites. No radio call is made by PilotX. No phone call is made by the pilot. It is not known if he was conscious or not. The pilot who knew the position of PilotX and another of our group, who had a private aircraft, fly over the crash site to verify the position of the victim and verify if he is injured. This is the point where I got involved; Just back from goal, with no idea what's up– around 16:10. Stephan & I worked with the SAR coordinator and the ball started rolling by 16:30. Sunset is 1800 – I don't say it, but I know the odds are good that PilotX may be spending the night. The next 5 hours are spent getting SAR volunteers mobilized and up to the Barcroft Research facility. 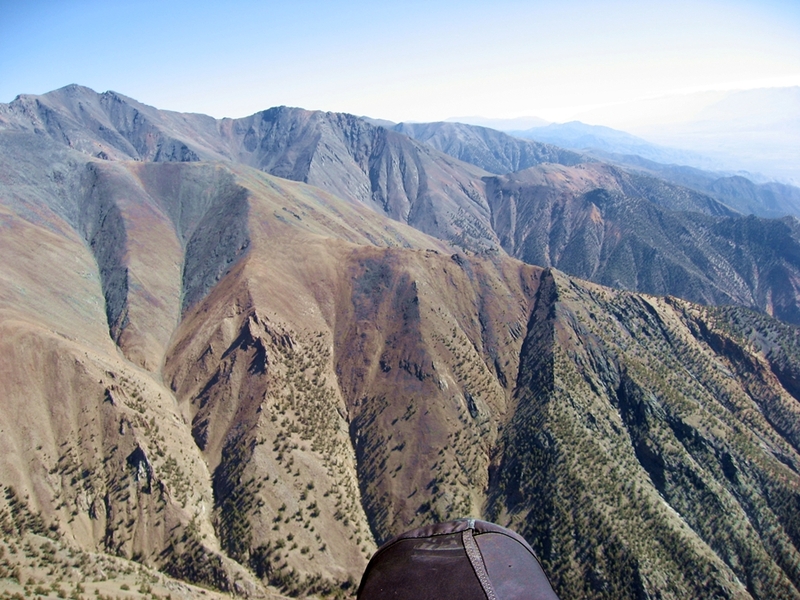 Once there, it was a 2.5 mile hike – in the dark – in tough terrain, with a couple steep canyons to enter/exit/work around (you get the picture – it took them a while to hike with their 50 lb. packs of med gear and technical equipment. They get to PilotX at 1am. It takes a while to assess, stabilize, immobilize, and package PilotX for carry-out to a suitable LZ for the chopper, which has been dispatched from NAS Fallon (200 miles away). The Navy pilots are using IR gear to navigate at 11,000' in the terrain – it ain't easy flying – RESPECT. Why did it take 12 hours? Well, we got lucky on this one – that's why. This one turned out well. This situation, if things hadn't gone well, could have easily been a body extraction, folks. You simply can't find someone in a mountain range, this big, without some hints. Yup, we got very lucky on this one. Please carry some gear. I carry a spare radio battery. I carry a AA power source for my cell-phone, I carry a strobe light and a headlamp. I carry enough clothing that I could spend the night on the hill. A SPOT is cheap insurance. If the crap slaps the fan, at least put the odds on your side that you'll live long enough to get rescued. If you fly XC anywhere, even in the Dunlap valley, and you don't carry some survival stuff that is accessible while sitting injured, IN YOUR HARNESS, then you are the intelligence equivalent of the idiot that hikes into the Grand Canyon in flip-flops, carrying a diet pepsi. Please don't be that guy. It's not like I haven't preached about this before – My article about survival strategies and a DIY survival kit was in the USHPA mag a while back. It's available at http://biggovtsucks.blogspot.com/p/articles-by-tim.html. EDIT: I've had some input from the NAS Fallon helo crew, and they recommend carrying Lite Sticks (red is best) in our survival kits. 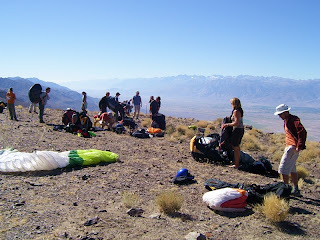 Owens Valley - Bonus Day! A group of us decided to do some "value-added" flying today. Conditions have been suitable for launching from Walt's Point on the Eastern side of the Sierras all week. This launch has been a popular launch since the 60's and allows for long flights to the North. The launch can be tricky though. Walt's is a cliff-launch - that is, you layout on level ground and then pull up-turn and walk off a cliff. . . It can be interesting. Unfortunately, Walt's launch isn't suitable for a large group due to it's restricted size and requirement of high launch skills. Flights from Walt's are spectacular because it provides views of the Eastern Sierra Range from perspectives that noone else can experience. 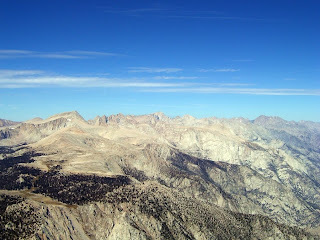 You can hear and smell - almost touch the most beautiful mountain range in California. We didn't have a goal today. 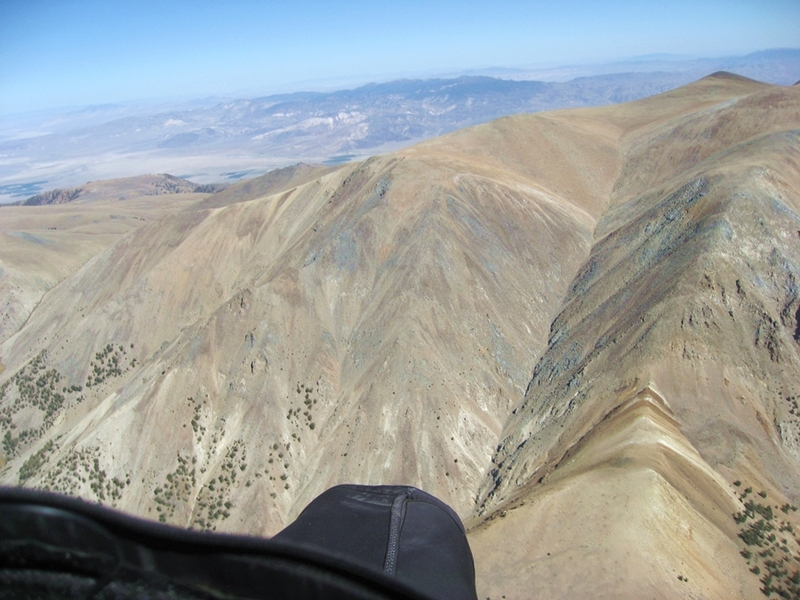 Bishop would be nice, crossing to the White range would be cool, but we were just going flying. A nice relaxing flight with friends. Dean was flying high point - patiently relaying info to Heidi, who had graciously offered to drive for us. I launched first and went directly to 13,500'. I loitered around launch for 30 minutes to allow a gaggle to form so we could convoy up range together. The views were so amazing that I won't even try to convey their beauty with words. Even my photos don't even begin to produce the vivid colors of the rock and the deep blue of the alpine lakes. We all made it to Big Pine without struggle but some high Cirrus was washing out the sunlight so lift was getting shut down. I was tired (not much sleep while monitoring the situation in the White mountains all night) a bit hypoxic, and generally beat. I found a nice big field about 63 miles from launch and landed. It was a great weekend with 13.5 hours flown and 185 miles flown. Results will be HERE, when posted. My flights are HERE. Another great day in the Owens. To be able to fly three straight tasks is a treat, not often experienced here, due to the areas sensitivity to winds. The ridge has brought us sweet conditions and high temps at the surface - GREAT racing weather! This was the last task of the 2010 Nor-Cal League and it was fitting that there were pilots from all over the country in attendance. Many pilots who started their XC comp 'experience' in the league have moved out of the area and it's great that they traveled as far as they did to experience 3 straight days of perfect flying. Jug Aggarwal has done a great job of organizing the league events and we acknowledged his contributions to the league. Without him at the helm the events would not be nearly as easy to participate in. This weekend, in particular, highlighted the generosity and selflessness of many of the pilots and their partners, who served as indispensable drivers, fluffers, and just generally spiced up the landscape. Thanks everybody! Seeya next year. Since most of the pilots would be heading home this afternoon, we called a short task of 30 miles to goal in Benton. Conditions were similar to prior days, but the lift improved during the short task. Today I had some serious fun since I was in the hunt for much of the race and, in the last two thermals, managed to put myself in a position of contention with Kansas, Jug, and Arnie. I was very fortunate to find a nice core and roll out just at the right moment and altitude to allow me to use full speed-bar all the way to goal. Kansas, who was on a superior/faster wing, wasn't able to use full bar due to the turbulence, and this allowed me to hold him off to goal. Dean Stratton won the day, but I was second - First among us mortals ;-) It was a really fun day. I think this flight was the most 'racing' I've done on an XC task. There were more than 20 in goal again today so there were many pilots who had fun. A great way to end the weekend for many of us. On a more somber note, we had one pilot go missing. 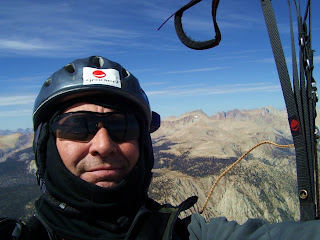 He had crashed at 11,000' in the White Mtns. and was extracted by Mono Co. volunteer SAR crews and a NAS Fallon helicopter early the next morning. His injuries are still being addressed and our thoughts and prayers are with him. My write-up on the rescue of this pilot is HERE. Another fun task in the Owens. We had around 40 pilots fly today. Conditions were essentially identical to yesterday, although climbs were higher in the afternoon. 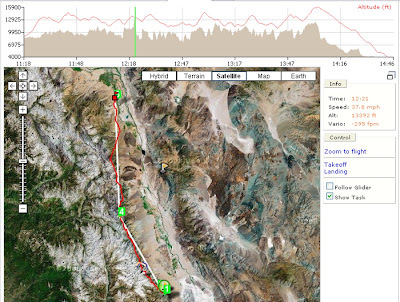 The task was from Paiute Launch to Qendix -29k north, back South to Jeffry 18k, then North to goal at Benton. Total task distance was 73Km (45 miles). I was low for the start but headed out anyway, which was a slow beginning to my flight. Eventually I got in the groove and made good time to the North in spite of some weak climbs and low tops of lift. After the turnpoint at Jeffry I had two fantastic climbs to 12,500' and 13,000' that made it possible to cover the last 17 miles in less than an hour. I was off the pace a bit and placed 5th or 6th today, but had a fun, great flight. The views of the bristle-cone pines, high on the White Mtns. and peeks East into the next valley were fantastic. There were over 25 pilots in goal today - many for the first time. Many pilots had their highest, and longest flights of their lives today. Here is a photo of some happy pilots in goal. Happy Pilots in goal at Benton. Today was an eventful day. . . and a lot of fun. We had a great turnout for this weekend and the weather was classic high-pressure Owens. The nice thing about a ridge of high pressure moving in, is that the winds are generally light. The less than nice thing is that the thermals are rocket ships that just shoot through your wing with lots of enthusiasm. . . 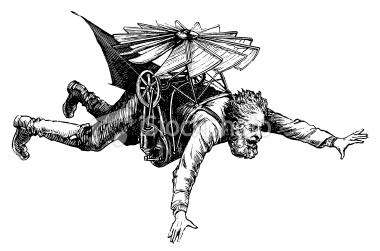 If one isn't flying with the same enthusiasm as the bullets being launched upward, it can be an un-enjoyable day. We met at the Motel in town at 9am and had a large parade up to the Paiute launch. There were a lot of new faces so we did a site briefing and an extensive pilot meeting. 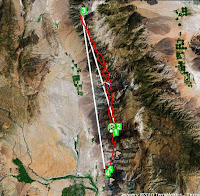 The task was from Paiute Launch North to Montgomery Creek (just short of Boundry Peak) the South to the Flynn LZ - 86Km or 53 miles. I launched about 40 minutes before the 12:45 start and had a decent start. Kansas, Jug, Fred and I were leading out for much of the first 20 mile leg to Montgomery Creek. The winds were light, but definitely had a South component. Just after tagging the turnpoint, I was heading into a nice bowl on about 1/2 speed-bar when the right line severed and I was suddenly without speed-bar for the 30 mile upwind leg to goal. . . Things were going fine (in spite of my equipment problem) with Kansas a thermal ahead and Fred flying deep and downwind of course. Jug and I were making good time and staying ahead of a gaggle of 4 or 5, behind us a mile or two. We flew a good line with abundant lift and finally Jug and I got a climb, 7 miles from goal, that gave us a 5.2:1 glide to goal. We rolled out & within 5 minutes I saw a wing ahead of me fold up and cascade to impact in the foothills ahead. I thought it was Kansas and made a call. It turned out to be Fred, and he sounded OK. I landed near him about 10-15 minutes later and hiked up to his location with a group who had 4-wheeled as close as they could get, to help. When we arrived, Fred had packed his wing and was just about ready to hike to the ambulance that had arrived. It was a welcome surprise to find Fred walking and talking after watching him pound in. We were met by a Cal-Fire crew and Fred posed for a recruiting ad.